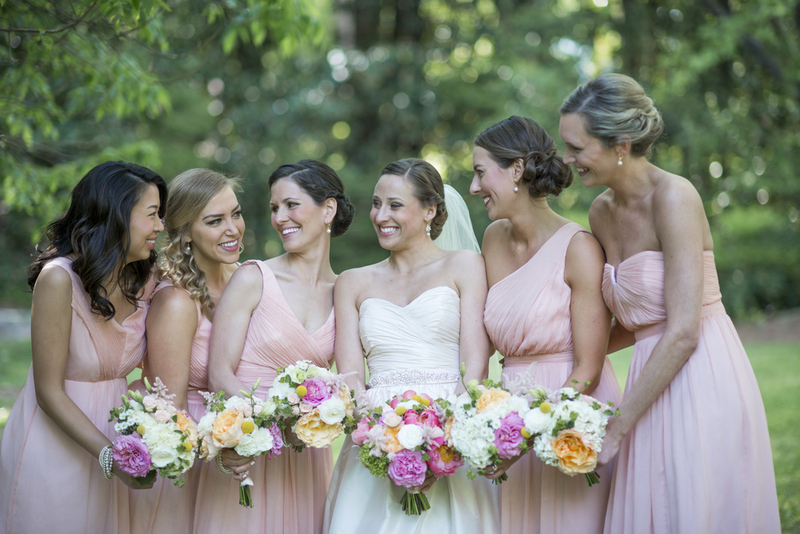 Lauren + Mike had a lovely spring wedding this May at Duke Gardens. Pink garden roses, coral charm peonies and craspedia (billy balls) popped against the whites and creams of hydrangea, lisianthus and ranunculus. Below are a few of our favorites from J.B. Haygood Photography!